Online marketing–if you have any experience with promoting your business online, then you know it is a complicated process. It’s not nearly as easy as one might think. Having a great business and simply putting it out there on the web isn’t enough. As technology continues to occupy more and more of our lives, the value of successful online marketing increases exponentially. There are several components to a successful online marketing strategy. Getting all of those parts to work together is key. Here, you’ll learn earn how all of the basic pieces of online marketing work together with inbound marketing services to create the perfect system to grow your business. Website: An attractive, user friendly website is key to successful online marketing. It is crucial to keep your website up to date and meet current needs–like making your site friendly to mobile devices. SEO: Search Engine Optimization helps you to get better ranking and results on major search engines. Essentially, it’s being found on page 1 of Google, Yahoo, and Bing for keywords that your ideal customers search. PPC: Pay per click campaigns also help to support search results. While less effective than organic SEO, PPC can help you rank for those hard-to-get keywords early on in your campaign. Social Media: Social media is a huge marketing resource that allows you to connect with millions of users. Leveraging the targeted ad features through channels like Facebook and Pinterest can help you maximize your social reach on a limited budget. Each of these can play an important role as the promotion component of your online marketing strategy. All of the various promotion tools should work together in an interdependent manner to bring more visitors to your website. But having a comprehensive strategy is key. The strategy doesn’t end there. Online marketing campaigns today tend to miss a critical piece: converting online visitors to what every company wants – CUSTOMERS. First of all–what is inbound marketing? The purpose of an inbound marketing strategy is to draw potential customers to your business, rather than compete for attention externally. And the idea isn’t just to get them to your site the first time but to keep them coming back. The tools above do a great job of bringing people to your website. There they should find everything they need to make a purchase but far too often, they don’t. Why? Typically, it’s one of two reasons: either you don’t have what they’re looking for or they just aren’t quite ready to make a buying decision. It’s the latter group you want as customers when the time is right. So what are the Inbound Marketing components needed to complete the strategy? Engaging Content: From retail stores to medical practices, the key to garnering new patrons is to prove yourself an industry expert and provide the answers your potential customers need. A blog is the ideal way to create unique and engaging, and timely content to address any number of questions a buyer may ask before making a purchase. Connection Opportunities: We employ something called “offers” to create opportunities for visitors to fill out a contact form and receive a gift in return. The offer may be an eBook, template, or a coupon of sorts. The cost of which is their name and email address. If offers aren’t your thing or you don’t have the staff to manage them, a simple “subscribe” form is a great place to start. Follow-up: Now that you have their attention (and their email address) you can stay in contact and provide additional, valuable information to help them toward a buying decision. This is where you get to nurture your relationship. Follow-up emails in any form, be it Marketing Automation or Newsletters, will increase the chances that your lead will come back to you when it’s time to buy. But be careful! Sending too many emails will scare them off – we aim for 2-3 emails per month. So How Do these Components Form a Successful Inbound Campaign? Every successful strategy will employ these 4 components: Promotions, Content, Connection, and Follow-up. This comprehensive strategy will drive traffic to your company’s website, engage those new visitors with unique and valuable content, entice them to share their contact info with you, and draw them back to your website when the time is right for them to make a purchase. Done well, an Inbound Strategy can not only produce more leads and sales over the course of a campaign, but it also costs less than outbound marketing. Clearly, this is an extremely effective method of online marketing but the pieces are designed to work together. There’s no point in creating amazing content if you don’t have a strategy to promote that content effectively. No one will ever see it! In the same vein, what’s the point of having a killer social media or SEO campaign if there is no way to capture your website visitors’ information or guide them to a purchase? Create an inbound marketing plan that effectively utilizes each of these online marketing tools. Want to learn more about how to leverage inbound marketing services to revolutionize your online marketing results? Fill out this form to work with our team to generate your free customized marketing assessment. 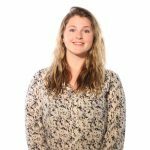 Lindsey is the Inbound Marketing Onboarding Coordinator for Farotech and specializes in integrating Inbound and Video Marketing strategies.